Permed bob is a beautiful choice for women with light and fine hair. The bold hairstyle looks great on every hair color. The heaviness and warmth sums up to make an exquisite choice of bob haircut for black women. 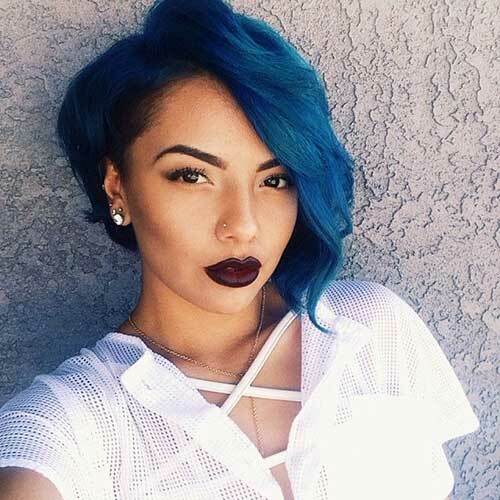 Beachy waves look amazing on all bob hairstyles. The hairstyle gives a little twist to the regular bob haircut making it look sophisticated and decent. This hairstyle is perfect for women with prominent features and round faces. Asymmetrical bob hairstyles are great for showing off valor and enthusiasm. The asymmetrical bob gives an edge to the complete personality with its sharp cuts. You can trim off hair from the non-symmetric side or keep it long, either way the hairstyle wholly does its job of showing off passion and art. Nothing can beat the look of natural waves in hair. The naturally wavy bob hairstyles are perfectly suitable for outgoing and professional women. The hairstyle maintains the perfect balance between sophistication and casualness. It isn’t too much of anything and still looks classy and awesome! The casual straight bob is extremely sophisticated hairstyling choice for black women. The decency of the hair gives an edge to the whole personality. The hairstyle denotes a sound nature and satiating pleasantness. This hairstyle is best worn with dark colored hair. 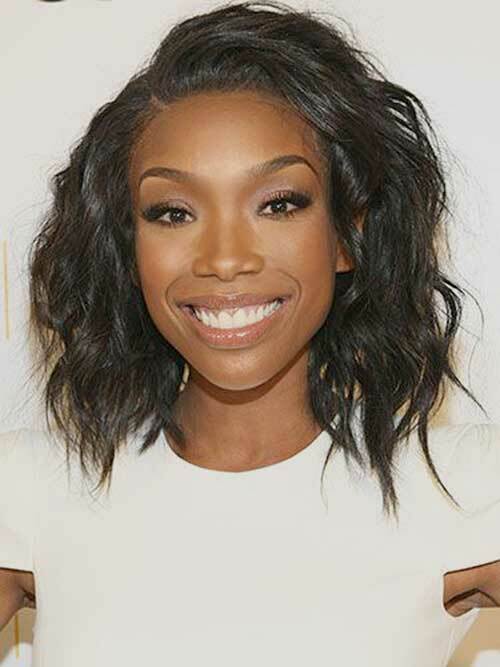 Although it looks beautiful on everyone, the cropped bob is a wonderful hairstyle for black teenage girls. Short and cropped bangs over the bob hairstyle makes it look all in place. It is an excellent combination of edginess and erudition. The dark curly bob is another improvisation of the classic permed bob hairstyles. The hairstyle looks adorable on all women! The warmth and classiness of this hairstyle makes it the choice of many young and passionate black women. Blond bob hairstyling looks extremely attractive on black women of all ages. The caramel highlights on top of the blond bob makes the hairstyle look even more beautiful and classy. Straight bob hairstyles are best worn with dark colored hair. The dark colored hair look even better on black women. You can wear your hair with a center or side part line in accordance with your facial structure and this will definitely rock your dark and straight bob hairstyle. This hairstyle is an exquisite choice for long bob haircuts. When your bob haircut is grown out of the medium bob length, it can become quite confusing for you to decide how to wear them. But no worries! Because this hairstyle is the perfect solution for long bobs. Simply give yourself a front haircut and wear your bangs on one side and let the rest of the hair fall down. The eloquence and casualness makes it one of the best bob haircuts for black women.